It is always a good idea to keep your Wi-Fi router protected by using some simple security measures. One such measure is to add a password to your router and keep changing it regularly. Let us answer the question how can I change my router’s password from the following paragraphs. 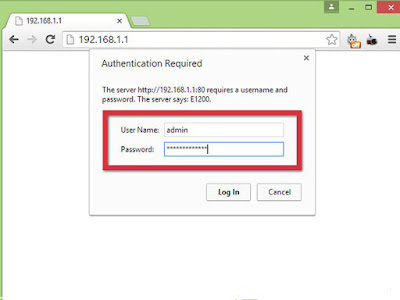 You need to first login into the router’s admin page. Just enter the default IP address into your browser. Most routers have 192.168.1.1 or 192.168.0.1 as their default IP address. You will be asked to enter the username and password. Enter the default username and password and log in. If you do not know your default username and password, look for it on your router device. It will be printed on the underside of the device. Once you gain access, you need to look for a page or tab that says Wireless or Wireless Settings or Setup. In case that page has multiple sections, select the Wireless Security Page. Now, look for the label that says ‘Passphrase’, ‘Password’ or ‘Shared Key’. Enter your new password in the box and re-type the same password in the next box, if your router requires it. Make sure you use uppercase and lowercase alphabets along with numbers and special characters. The password should not be less than 8 letters and can be up to 64 letters long. Select the WPA2 or in older devices WPA/WPA2 as the wireless encryption. This most secure network encryption will prevent someone from hacking into your account. If you wish, you can even change the network SSID from the same page. This network SSID is broadcasted publically, making it very easy for the anyone to find your network. However, choose a wise name as a tantalizing name will motivate hackers to try to hack into your account. Save your settings and your new password is ready to be used. Enter this new password to your devices that are seeking access to the network. How i fix the red light on my wireless home prepaid wifi?